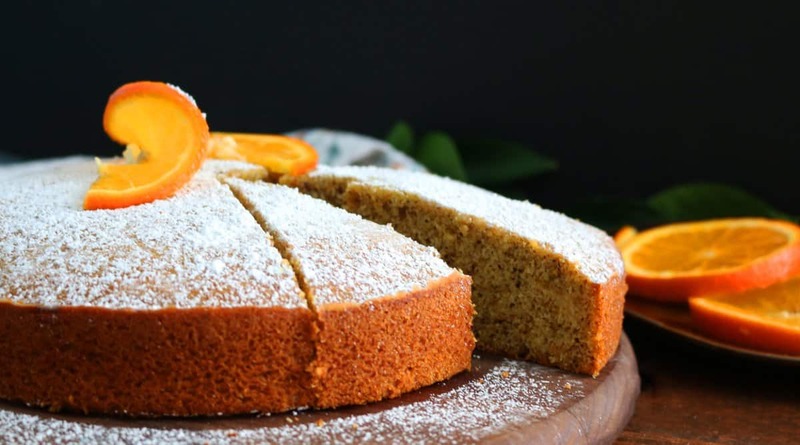 A simple yet scrumptious orange-scented cake made very easily in a food processor. Delicious plain or with coffee. I hate this time of the year! Rain…cold….shorter days…so depressing. Adding to the misery is the produce section, no fruits whatsoever. All I see is citrus (but gorgeous ones though), apples and pears. I certainly spot berries but the inner foodie in me just doesn’t incline to buying berries in the mid of dead winter. I’ll wait for spring and go local. So, I stocked my basket with apples and oranges, dropped off an overdue book at the library and drove back home only to realize I had navel oranges, clementines and cuties. Really? what was I even thinking?? Lol 🙂 Anyways, we love to get our daily dose of vitamin-c, but it gets monotonous in a short while. Long story short, birth of my orange-walnut cake. I came up this recipe about 3 weeks ago. First try- I sliced the cake while it was warm to make sure it came out right. Three of us polished off the entire cake even before it got a chance to cool completely. It was SOOOOOOOO GOOD! Hub-hub was not thrilled to find out that we didn’t save a slice for him:) So, I made another one next day, just so that he could taste it. The cake was finished in about 3 hours after oven time. I baked this cake probably 11 times in just 2 1/2 weeks and it never managed to make it to the second day. I did manage to share with friends and Sophia’s school and all of them just went crazy for it. I already have folks waiting for this recipe. 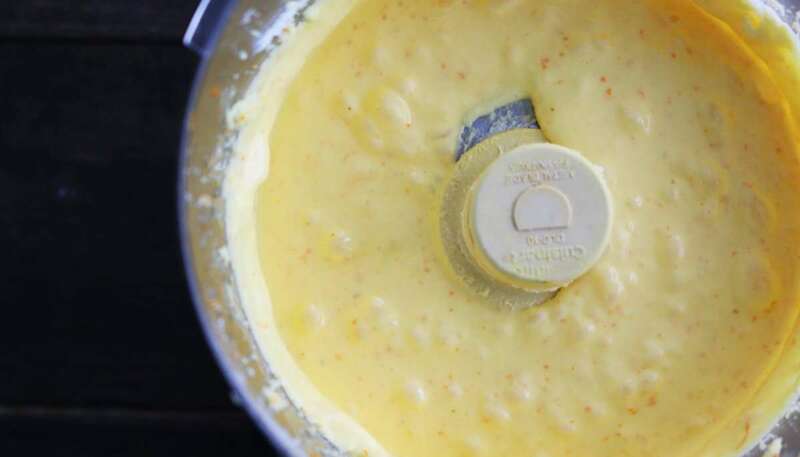 All dry ingredients into the food processor…..
process until creamy…add eggs… process…..
process flour and orange juice…. So, if you own a food processor (I used my trusty CUISINART) then please make this cake. Your family, friends, neighbors, tastebuds will thank you! 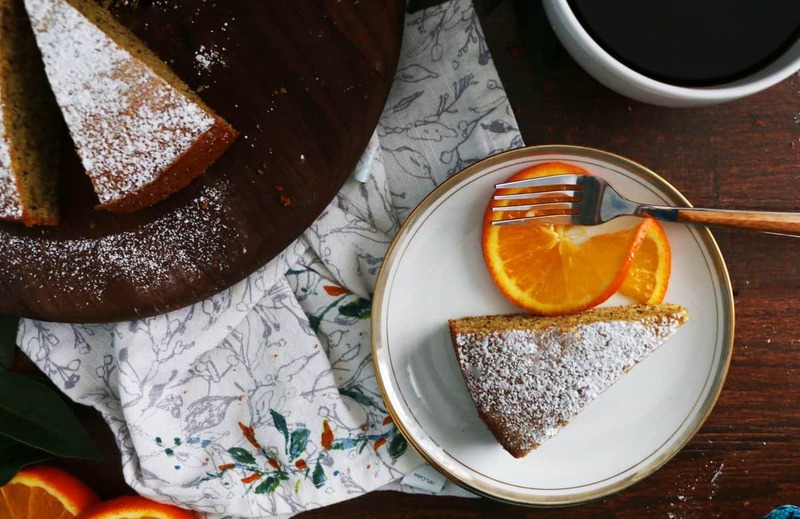 This will become your go-to-cake recipe. -if you have the time then leave the eggs out at room temperature at least 30 minutes or up to a day, if you didn’t then just go ahead with the recipe. -you can use the pan that you have on hand and obviously a 8-inch cake will be taller. Preheat oven to 350 degrees. Spray a 8-inch or 9-inch round cake pan with non-stick cooking spray and line with parchment paper. 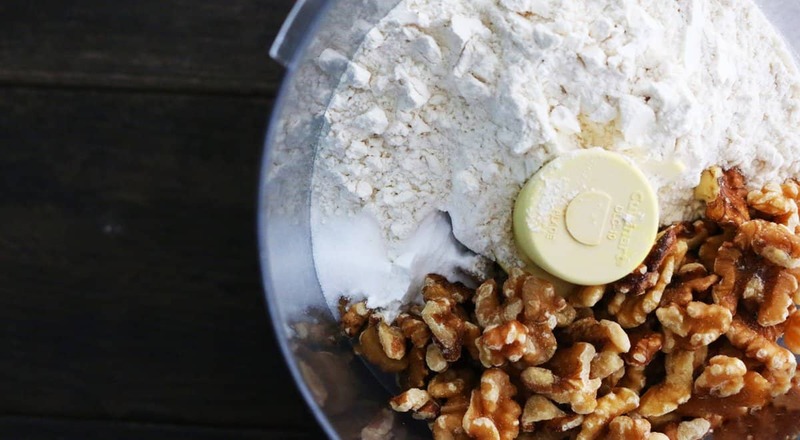 In a food processor, combine flour, walnuts, baking powder, baking soda and salt. Process for about one and half minutes, until finely ground. Transfer mixture to a bowl and keep aside. 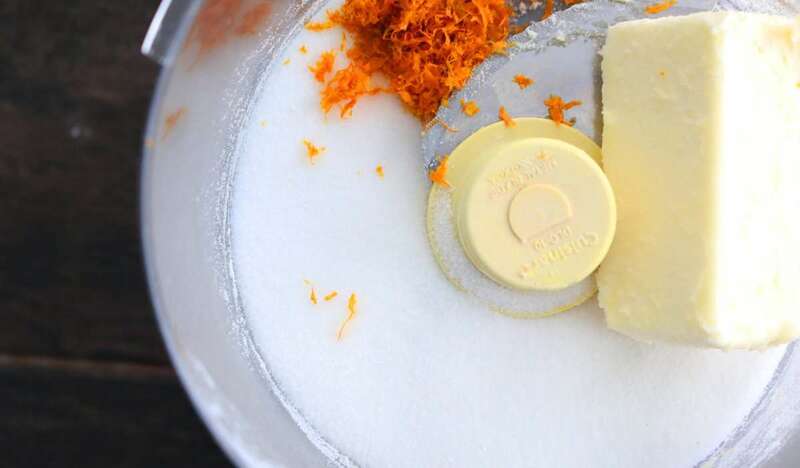 Into the same processor, add butter, sugar and orange zest. Process for about 45 seconds. Add both eggs and process for few seconds until smooth (scrape the sides of the processor to mix in any butter sticking to the sides). 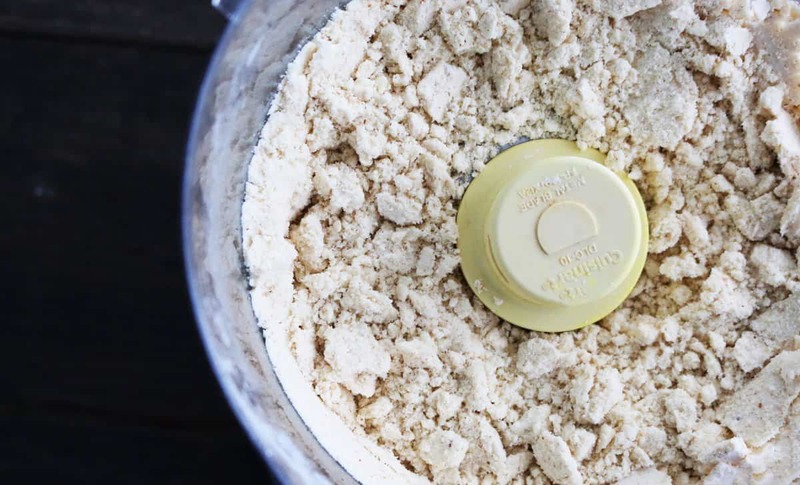 Add half the ground flour mixture, process for 10 seconds, then orange juice, process for 10 seconds and then finish off with remaining flour mixture and process for additional 10 seconds, until combined. 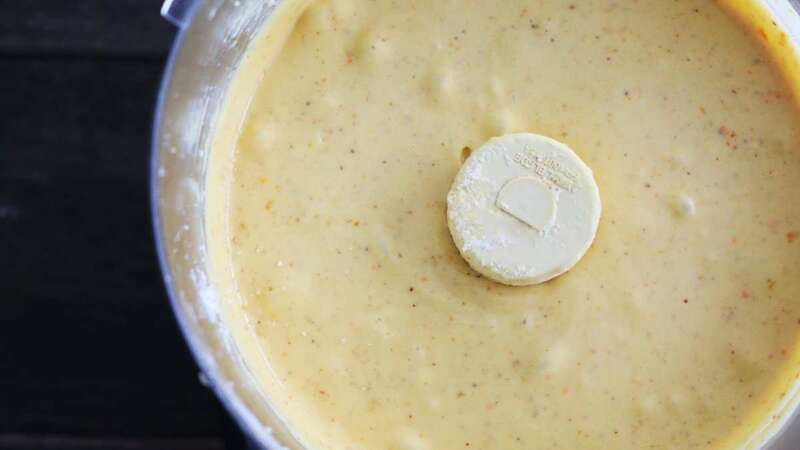 Transfer batter into the prepared pan, spread evenly and bake in the middle rack of the oven for 33 minutes (if using 8-inch pan) and 30 minutes (if using 9-inch pan) or until a tooth pick inserted in the middle comes clean. Place pan on a wire rack to cool completely or eat warm (its unbelievably good when eaten warm). Makes one 8-inch or 9-inch cake. Thanks for stopping by Anindya and the kind words! Can.I replace egg in the recipe, any Suggestions please ? 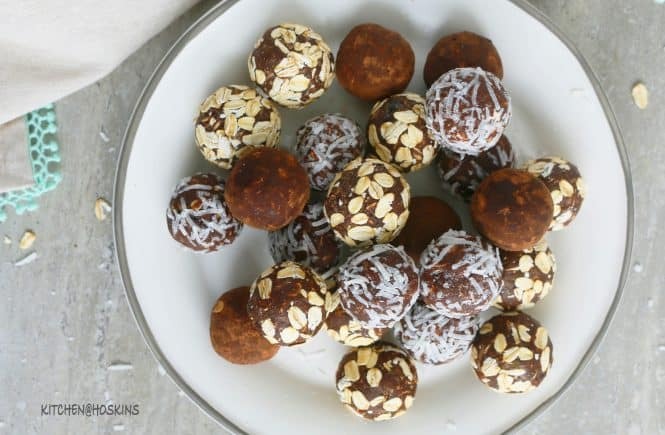 I loved the entire recipe and want to try making this one. 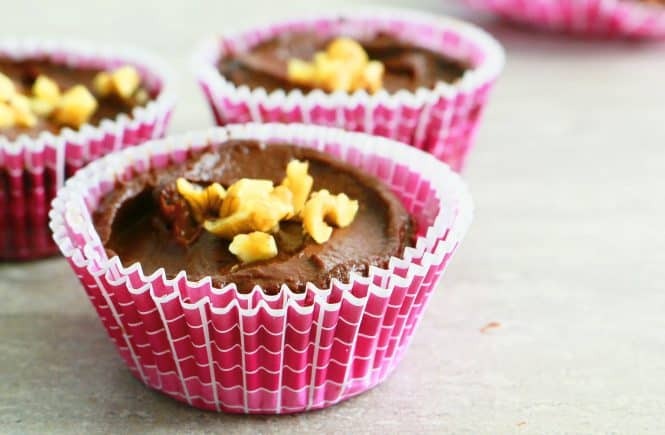 Though I haven’t experimented with eggless baking, I found a proven method online – stir one tablespoon ground flax seeds with 3 tablepoons water together until it’s mixed well. You can try this in place of one egg in any recipe. Hope this helps Dixita and appreciate you stopping by. 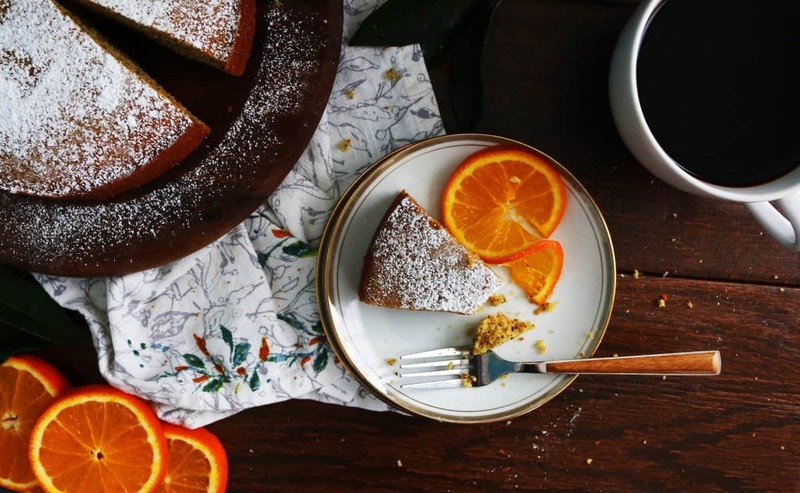 I was thinking about an orange cake this morning. Your recipe was right on time. I bet it would be good with toasted almonds. I had better make one of each. That’s a great idea and would certainly be delish. Thanks for stopping by Karen and happy baking! This is so beautiful, and sounds like it tastes just as good as it looks! Awww…Thank you Kim. It’s one of my favorite combo! 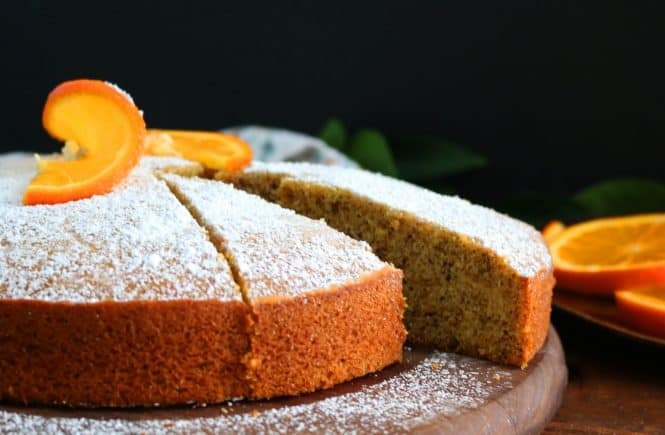 I love these flavors and please give me anything with walnuts and I will polish it off 🙂 This cake sounds truly tasty and a nice break from traditional coffee cakes! Yes Jenny, orange and walnuts make a great combo. Thanks for stopping by! This looks sooo good!!! 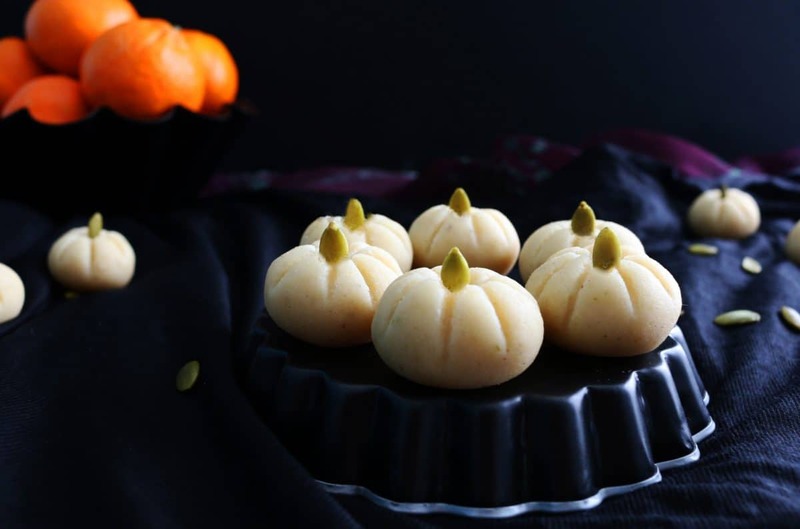 I need to get over my fear of baking and try this recipe! It looks gorgeous. I love orange flavored baked goods. It would hit the spot with a cup of coffee! Yess! I need this recipe in my life. I love orange-flavored desserts. I will definitely be giving this one a try. 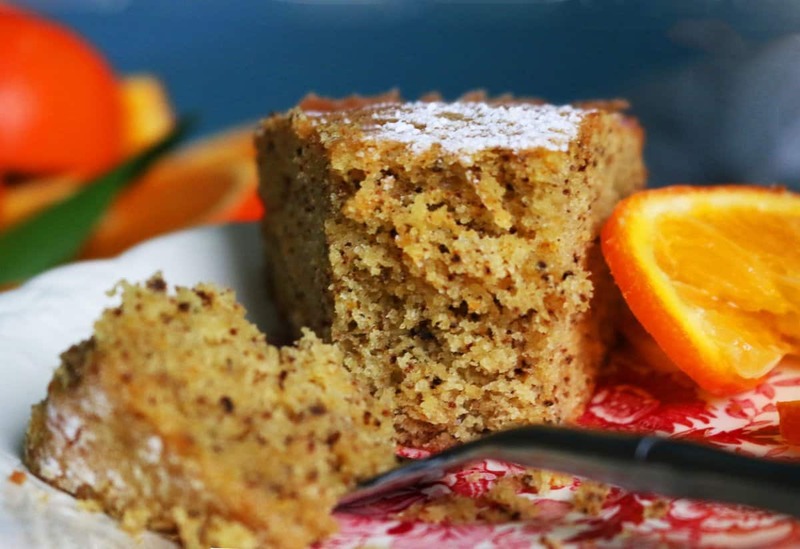 This is the first recipe I have tried from your blog…. AND I LOVED IT. 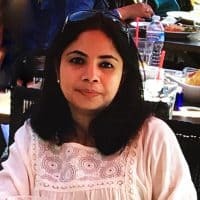 I was researching various recipes for the rasmalai cake, and found your blog. And I am glad I did!!! So many interesting recipes… not sure which I will try next. thank you Maria – and more power to your kitchen. Aww… thank you so much and glad that you liked it. Love..
Looks delicious.. Great texture.. Was wondering, if grinding the walnuts to flour consistency allows more flavour or lesser, than when they are finely chopped! !